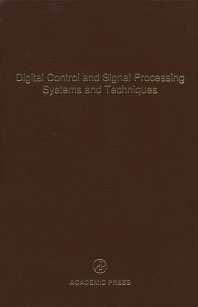 Time Frequency Signal Analysis: Past, Present, And Future Trends Fundamentals of Higher-Order S-To-Z Mapping Functions and Their Application to Digital Signal Processing. Design of 2-Dimensional Recursive Digital Filters. A Periodic Fixed-Architecture Approach to Multirate Digital Control Design. Optimal Finite Wordlength Digital Control with Skewed Sampling. Optimal Pole Placement for Discrete Time Systems. On Bounds for the Solution of the Riccati Equation for Discrete-Time Systems. On Bounds for the Control Systems. Analysis of Discrete-Time Linear Periodic Systems. Alpha-Stable Impulsive Interferecne: Canonical Statistical Models and Design and Analysis of Maximum Likelihood and the Moment-Based Signal Detection Algorithms.